Strike a pose and win a $25 gift card from Visa. Giveaway runs through 2/12. Open to US residents only. Good luck. On behalf of EuropaCorp, we are pleased to share the teaser trailer for the upcoming film, NINE LIVES! 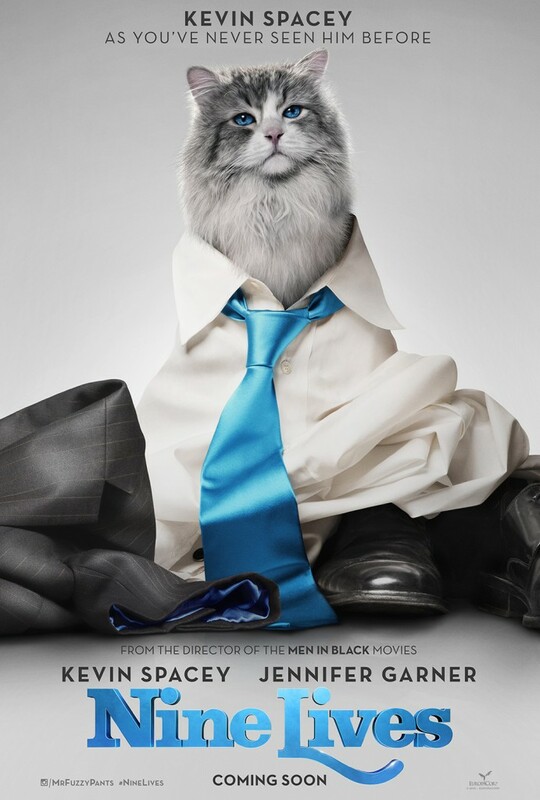 Starring Kevin Spacey, Jennifer Garner, Malina Weissman, Cheryl Hines, Christopher Walken and Robbie Amell, NINE LIVES is the story of a stuffy businessman, Tom Brand (Kevin Spacey), who finds himself trapped inside the body of his family's cat. If any hope exists of returning to his family as the husband and father they deserve, Tom will have to learn why he has been placed in this peculiar situation and the great lengths he must go to earn back his human existence. M185 Jennifer Garner stars in EuropaCorp's "NINE LIVESÓ. One of our readers is going to win a $25.oo Visa Gift Card to celebrate and go see this great new movie Nine Lives! Enter below and Good Luck All! I usually go to the movies more in the summer. It's easier to get out when the weather is nicer. Yes because the kids are out and only if there are kid movies out. I see about as many movies in the winter as the summer. Not really. We just go see the ones we really really want to see because it's so expensive. thank you! I usually watch more in the winter. I don't feel like I see more movies in the summer than any other time. I don't go to movies I prefer to wait and see them at home. I saw two movies this summer with the kids. I don't see more movies in the summer than any other time. i see a lot more in the winter i think. thanks so much for the chances to win. No, I think we might even see less movies in summer because there are so many other things to do. We don't hardly see any movies in the summer. It's so nice out! We do see more movies in the summer, we usually stay home in the winter and watch CNN. We don't go to movies often, but the season doesn't matter. We go to see the ones that really interest us regardless of the weather.